THIRUKKOVIL (Sri Lanka) – The two waves of last December’s gigantic tsunami in this one-time paradise island caused many deaths and much destruction. 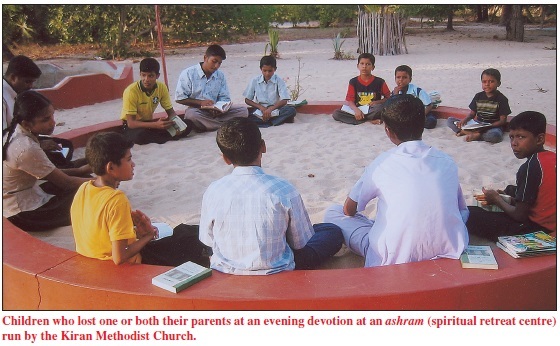 But, in a twist of irony, the “third wave” – that of relief and rehabilitation initiated by The Methodist Church in Sri Lanka – led to reconciliation and closer ties among the Christians, Hindus and Buddhists, at least in the tsunami-hit areas. 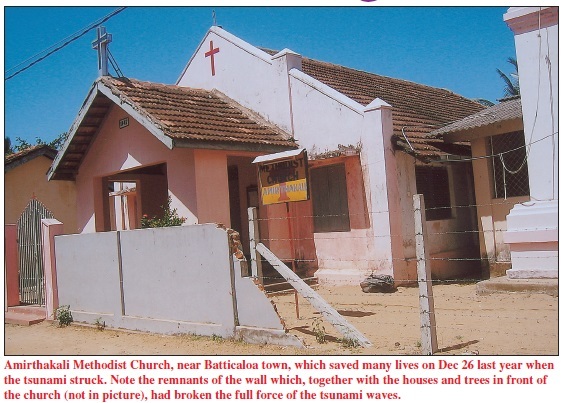 “What we did in coming forward to help the victims and families affected by the tsunami led to a bonding of the community – something we could not achieve in past years,” said the Rev R. Dhayanithy, Superintendent Minister of the Methodist Church in Thirukkovil, a village of about 125,000 people in one of the eastern districts of Sri Lanka hit by the tsunami. 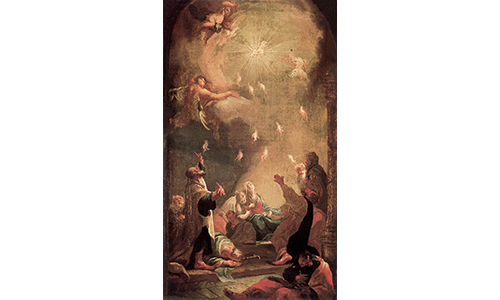 “Our job was – and still is – to simply bring the love of God to the people. 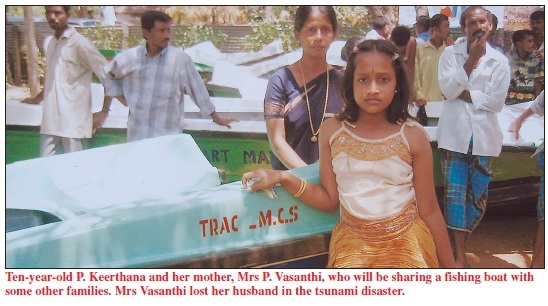 “When the tsunami came, we cared for them, every one of them, Christian, Hindu, whoever. We helped them to clear the debris, to rebuild their homes, and more importantly, to rebuild their lives with food, shelter, jobs and friendship. 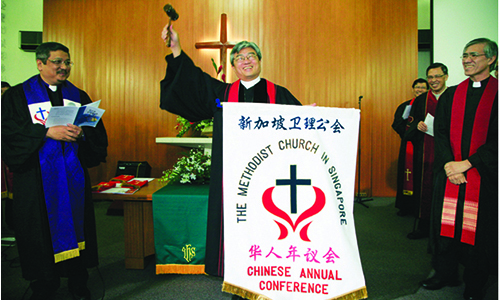 It is common to see Methodist churches throughout the country run nurseries, girls’ and boys’ homes, vocational training centres, study centres, day-care centres, sewing classes, IT classes, and a whole host of programmes to impart knowledge and vocational skills to young boys and girls as well as jobless adults to help them become self-reliant. 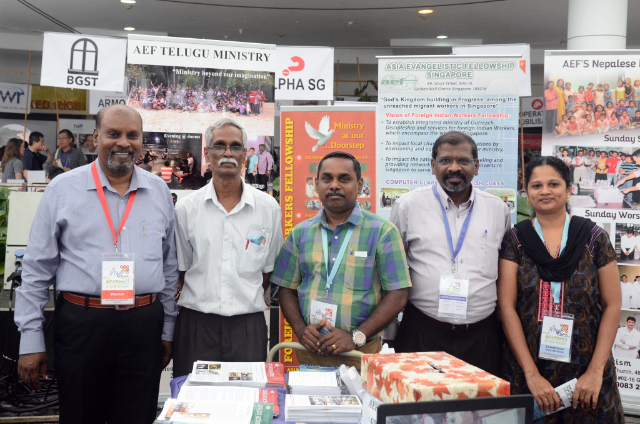 “All these skills will lead them into the job market and help them become good citizens,” said the Rev Dhayanithy. 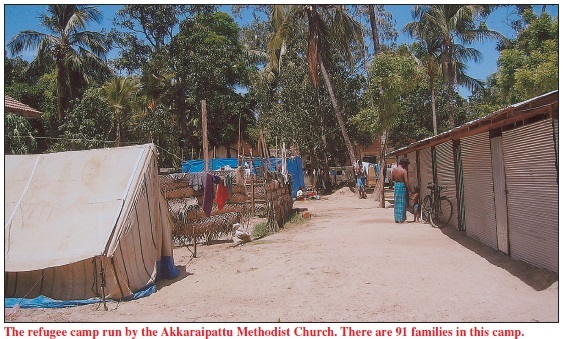 Some Methodist churches run refugee camps for families affected by the tsunami. The deaf and other disabled people have not been forgotten either as there are vocational and care centres for them. For example, Deaf Link, the Centre for Deaf and Differently Abled People, provides computer education for children and adults, vocational training, leadership seminars and integration programmes besides sign language classes, counselling and spiritual fellowship. Deaf Link has its headquarters in the capital city of Colombo and operates day-care centres in various parts of the country, including in rural areas. The Rev S. S. Gnanarajah, Chief Co-ordinator of Deaf Link, said the centre’s mission is basically to help the deaf and disabled to improve their quality of life. 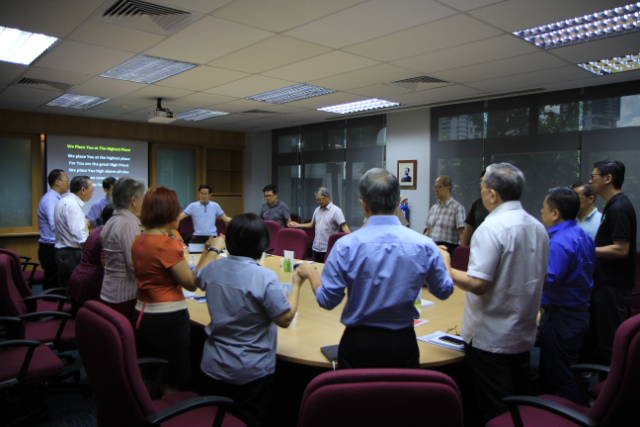 “Deaf Link aims to provide facilities to the deaf, as well as their families, to develop their full potential to enable them to play a positive role in life,” he added.